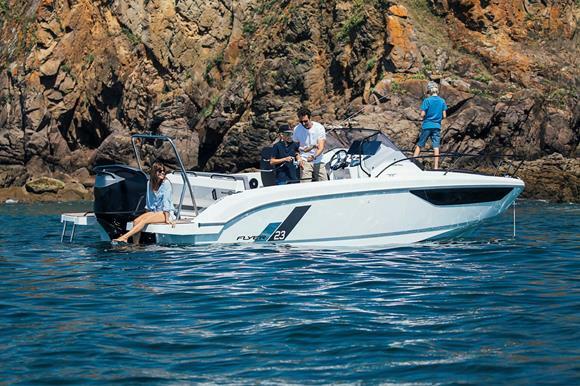 In 2014, Beneteau revolutionized the standard in outboard design with its Flyer series, paving the way for unprecedented livability and comfort. 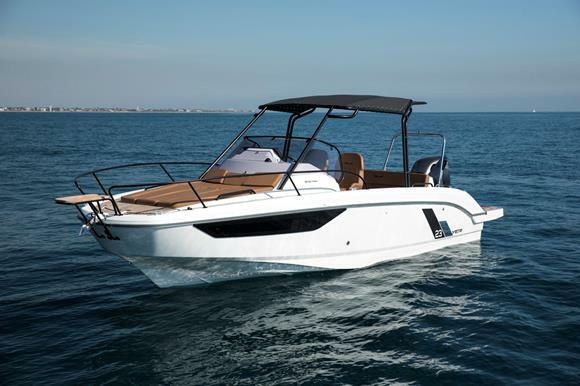 With the launch of the All New Beneteau Flyer 23 SUNdeck at Miami Boat Show from February 14 through 18, 2019, and the launch of the Flyer 23 SPACEdeck following, Beneteau brings over from Europe this new generation of bestsellers. 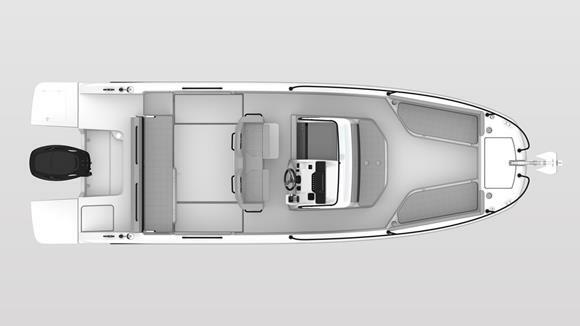 Reiterating the concept that brought success to Beneteau in the day-boat segment of the powerboat market, the two new Flyer 23s have the same hull design, equipped with Air Step2, which offers quick lift-off, comfort and great stability. 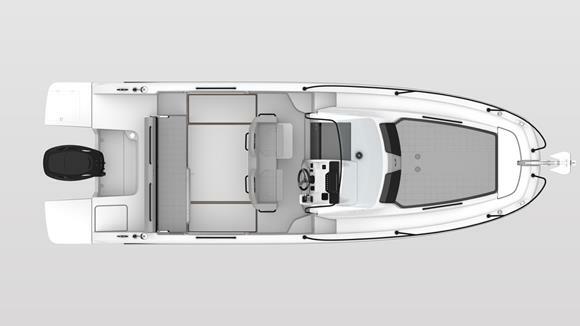 The boat comes with two different deck plans and interiors: the SPACEdeck has a central console, while the SUNdeck offers a double cabin under the large forward deck sunbathing area. 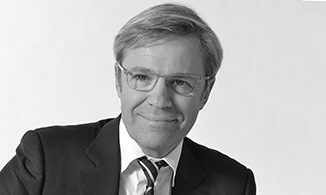 The two day boats are the fruit of a collaboration between Beneteau Power and the Style & Design office and they place the accent on volume and elegant simplicity. A taut and well-balanced line instantly draws the eye and the black pulpits confer the two new models with a boldly modern profile. 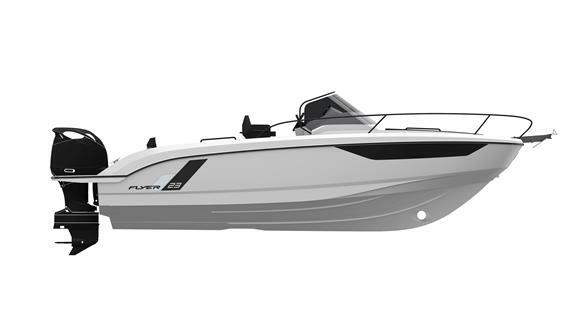 Flyer 23 powerboats offer a surprising amount of space and easy movement on board. The clever modular aft bench seat is easy to fold back providing an additional sun lounge or transom seating. There are also lots of ergonomic storage spaces distributed throughout the boat. 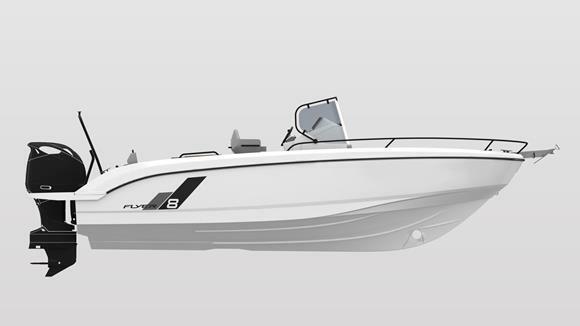 In line with the current market trends, the single-engine boat has much to offer in terms of ergonomics, cost effectiveness and performance. The limited space occupied by the engine makes it easier to move about the stern. 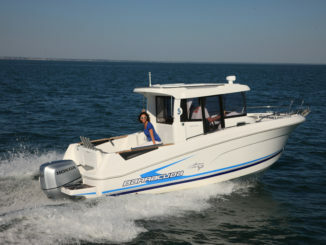 The two All New Beneteau Flyer 23 powerboats are also much lighter with a reduction in weight of nearly 7%. 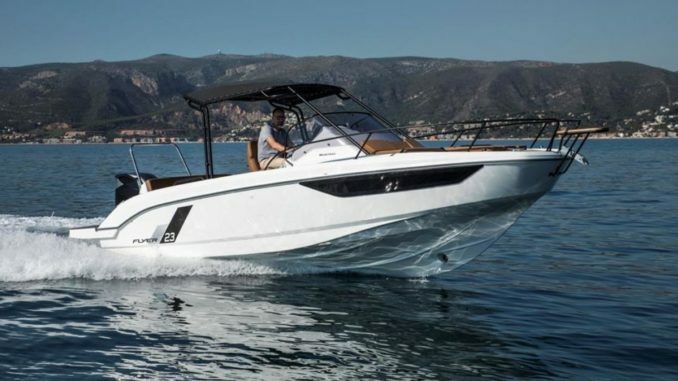 As for performance, the 300 hp engine power developed in partnership with Mercury is more than satisfactory with top speeds guaranteed over 40 knots, offering plenty of excitement to thrill seekers!